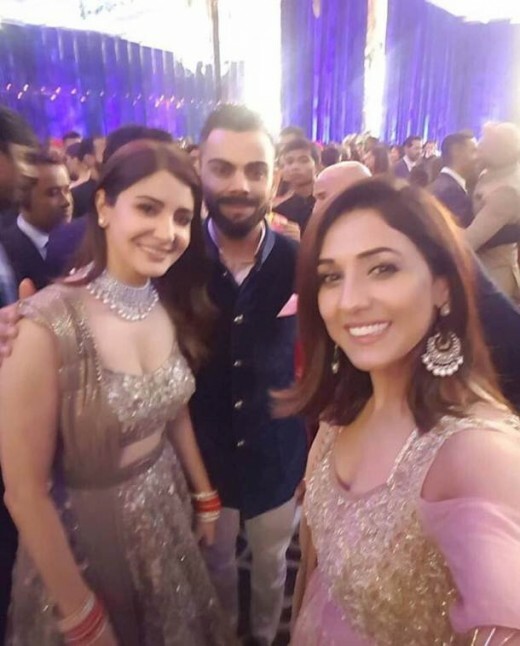 The wedding ceremony of the Indian celebrity couple, Virat Kohli and Anushka Sharma was held few days earlier. 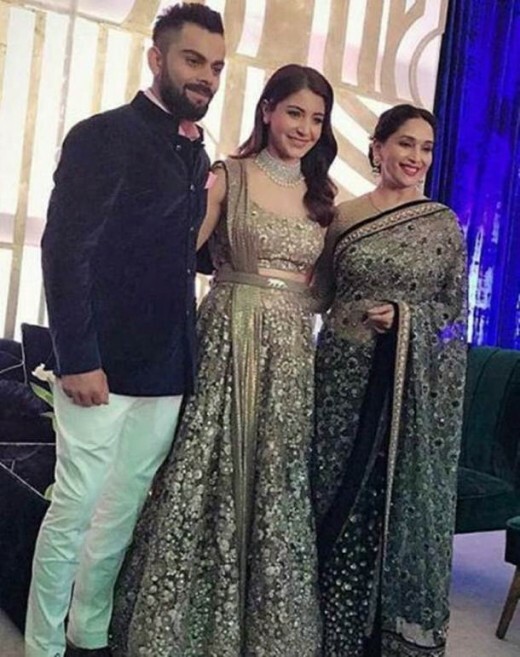 Virat is the leading batsman of Indian cricket team and he is also captain of the Indian cricket team and he gained so much popularity in the cricket. Anushka Sharma is the leading and well known film actress and she has performed in various leading and successful movies. She has performed with various leading actors of Bollywood film industry. 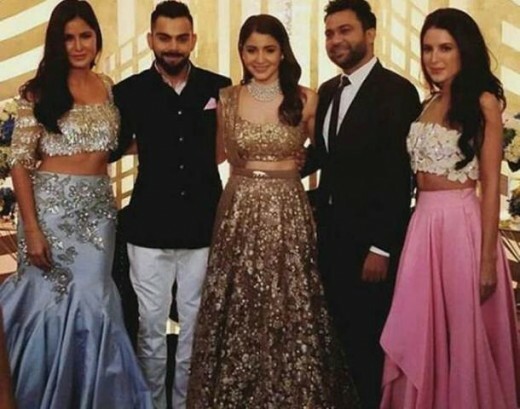 They have given the wedding reception in Mumbai in which various leading cricketers and the film stars arrived in the wedding reception. 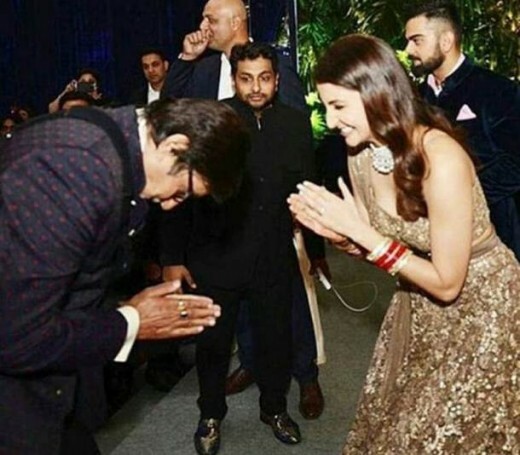 The leading film actor and mega star of Bollywood film industry, Amitabh Bachchan arrived in the wedding reception and he congratulated them by bowing before them and also folded their hands. 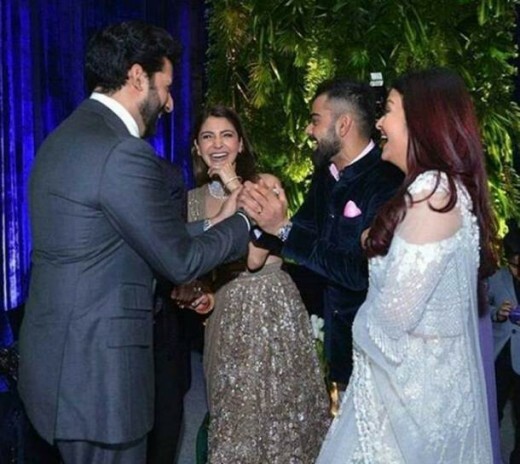 Anushka also bowed herself in front of him and she also folded her hand to greet him. 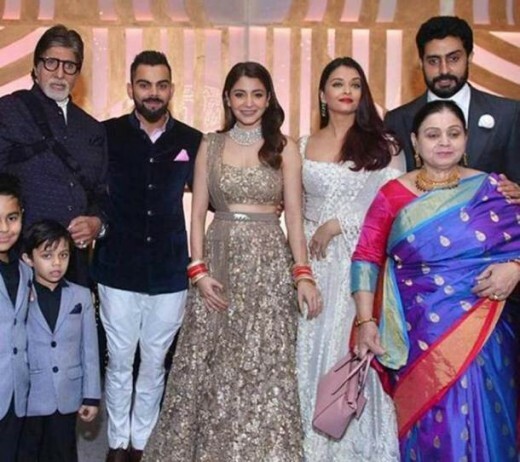 Abishek Bachchan and her actor wife, Aishwariya Rai Bachchan also arrived there in the wedding reception and the Bachchan family made a pose for a photograph with the newly-wed couple. The couple welcomed their guests on the stage. 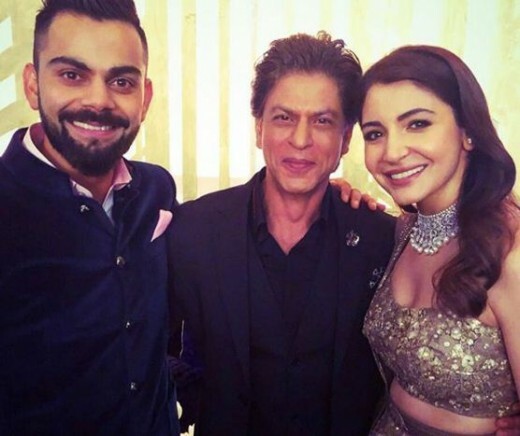 The other guests included Shah Rukh Khan also attended the wedding ceremony. Anushka has performed with him in her first movie and she has remembered these days to perform with him. 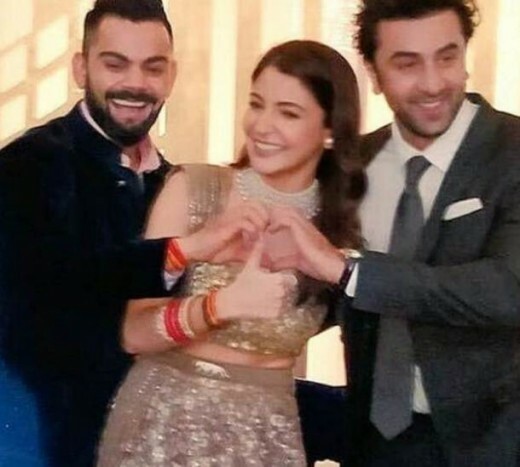 Ranbir Kapoor attended the wedding reception with his friend and she made the pose of the Ae Dil hai Mushkil with her. Katrina Kaif with her sister Isabella arrived at the stage to greet the newly-wed couple. 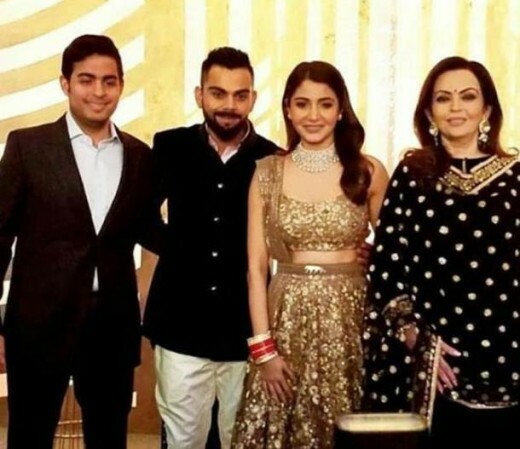 Nita Ambani attended the wedding ceremony with her son and she also congratulated the newly-wed couple. 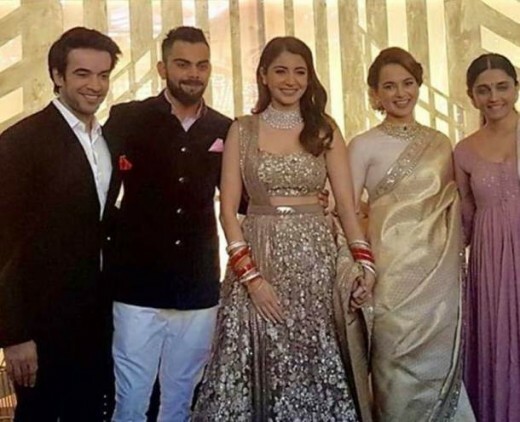 The leading actress, Madhuri Dixit made the pose with the couple and the singer Neeti Mohan also made a selfie with the newly-wed couple.